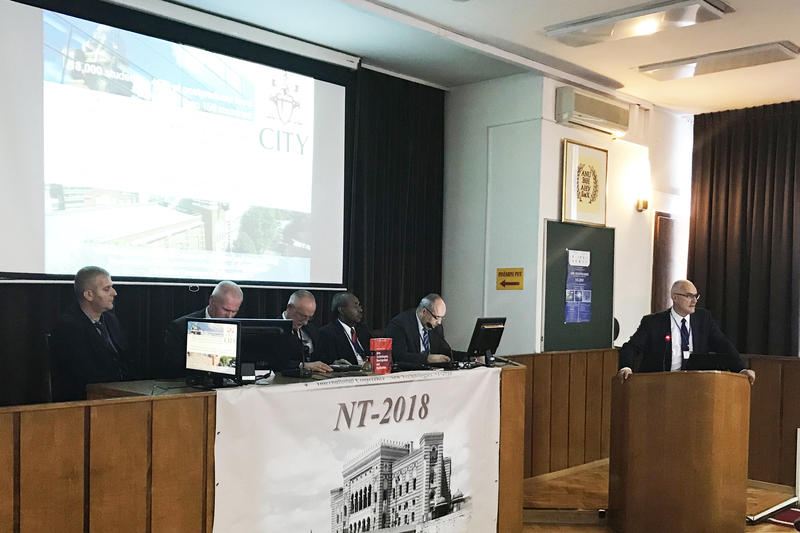 Delivering keynote addresses at the Academy of Science and Arts in Sarejevo and at Technical University Dortmund, he explained that new methods and tools developed in the Centre for Compressor Technology, will help to reduce energy consumption and protect the environment. 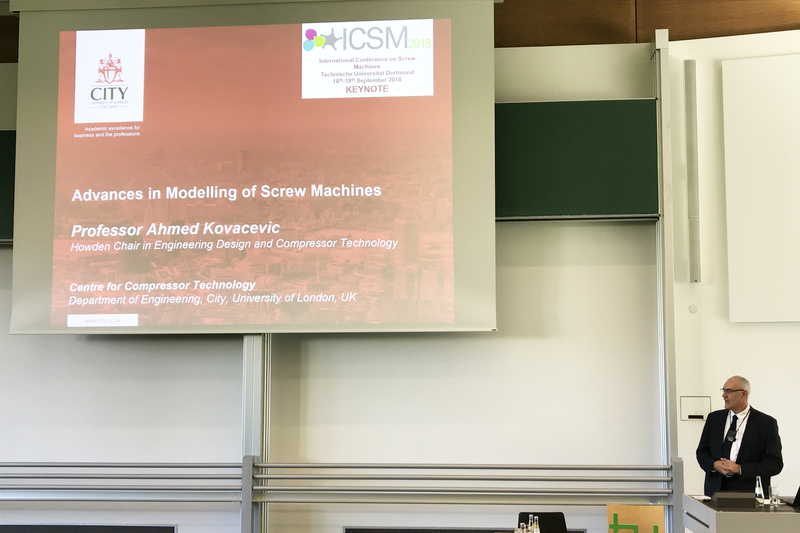 City, University of London’s Howden Chair in Engineering Design and Compressor Technology, Professor Ahmed Kovacevic, spoke to over 300 delegates at two flagship conferences about the design and modelling of positive displacement compressors. 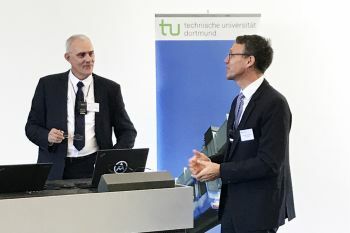 He gave the keynote speech, ‘Advances in Modelling of Screw Machines’, at the 2018 International Conference on Screw Machines (18th-19th September, Technical University Dortmund) - the only conference of its kind - and in June, he delivered the keynote speech, “Modelling of Multiphase Twin Screw Machines”, at a major Conference on New Technologies organised at the Academy of Science and Arts in Sarajevo, Bosnia and Herzegovina. In his remarks this year and in keynotes delivered in 2017, Professor Kovacevic focused on how new tools and methods developed at the Centre for Compressor Technology at City can lead to better and more efficient screw machines. He outlined that about 80% of all industrial compressors are of the screw type. Close to a million new screw compressors are installed annually in air, refrigeration, air-conditioning and process gas applications. It is estimated that about 17% of the electricity generated globally is used for compression – and increases by up to 25% in some developed countries over the summer months. This pollutes the environment with more than 3000 MtCO2 per year, while energy costs exceed €275 billion per year. It is expected that the global annual growth rate for screw compressors will be close to 7% in the next few years with most of the growth in India and China. Despite these growing trends for screw compressors it was also recently noticed that large scroll compressors and small centrifugal compressors are frequently being used in the traditional applications of screw compressors; further efforts are required for sustaining and expanding the reach of screw machines. Among other projects, the Centre for Compressor Technology is actively collaborating with Kirloskar Pneumatic Company Limited - the leading screw compressor manufacturer from India - on research and development of novel air screw compressors for Indian market. The first tests of compressors developed in this collaboration demonstrate superior performance to any other competition. The use of Computational Fluid Dynamics (CFD) for the analysis of screw machines which was pioneered at City, University in London in early 2000 is the most promising technique to allow for further improvements and radical innovation. The use of CFD in the analysis and design of screw machines is now growing exponentially. Professor Kovacevic proposes that the unique software SCORG suite developed by his team at City’s Centre for Compressor Technology, allows for the full utilisation of CFD’s potential solvers such as Ansys CFX, Star-CCM+, Pumplinx or Fluent for comprehensive study and design of screw machines. Professor Andreas Bruemmer, Chair of Fluidics at TU Dortmund, and organiser of the Dortmund Conference, has been collaborating for several years with the Centre for Compressor Technology where Professor Kovacevic pioneered methods for 3D CFD (Computational Fluid Dynamics) modelling and design of screw compressors. Technologies developed at City have been tested in Dortmund and some of the methods and findings from their studies have been validated and implemented at City.